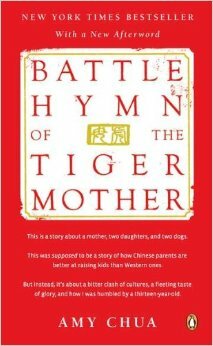 I finished listening to Amy Chua narrate her own book Battle Hymn of the Tiger Mother and really enjoyed it. The book came out in 2011 and ignited a controversial debate on parenting in the U.S.
First, you can’t argue with the results. Amy Chua and her sisters are Ivy-League educated with law degrees or PhDs. Amy Chua’s daughters, as a result of her unrelenting tiger parenting, are musical prodigies currently attending Harvard. So yeah, it works alright. I come from a similar parenting background. My mom expected all A’s. We obliged, because if we didn’t, we got pummeled. That’s the sticking point of tiger parenting for me. Children will live up to our expectations of them. If we have low or even no expectations, then hell, let’s cross our fingers that they turn out ok. If we have high expectations, then we can be assured their cooperation. As parents, we are trying to nurture our children’s talents. “Chinese parents can order their kids to get straight As. Western parents can only ask their kids to try their best.” Amy Chua goes on to describe the variance by saying that Western parents are too concerned with their kids’ self-esteem and are constantly trying to reassure them despite mediocre performance. Chinese parents, in contrast, demand perfection and if not achieved, believe it’s because of a lack of hard work. I agree that the majority of American parents do not expect excellence. It seems that their job is only to raise healthy, happy children with no regard for their high level of potential. One of the tenets of tiger parenting is ingraining in children the value of hard work. For most Western kids, hard work means completing homework or kicking a ball around for 30 minutes a day (if that). For tiger-parented children, hard work means doing all the extra credit assignments and practicing the piano for several hours a day, every day, even on holidays. The philosophy is that the longer kids practice, the better they will get, and the better they get, the more confident they are in themselves and in their abilities. It all makes sense. I am a product of tiger parenting and according to all my teachers, a model student. People were constantly asking my mom what her secret was. While the results speak for themselves, I do have a counterpoint to tiger parenting which is that if I survey the most successful people I know, the majority of them did not have tiger mothers! As an example, Amy Chua’s husband (who she met at Harvard Law) was raised by a very liberal, hippy mother and he is a renowned law professor and best-selling novelist. Personally, I’d like to be a tiger mother, but I don’t think I have the energy. Unlike Amy Chua or my mother, I don’t have the fight in me to make Franco practice an instrument until a song is perfect. I am too old to argue with my husband who was raised in the Western style or with Franco’s friends who probably won’t be held to high standards. We shall see, but this parenting model is surely an uphill battle these days. I mean, after the book was written, people asked that social services step in and take Amy Chua’s daughters away from the abusive household. Crazy Americans! What is your assessment of how you were raised, and how does that translate into raising your own children? I was most definitely raised to excel and get good grades. I still remember having to study before doing much else so that I would be able to ace my tests at school. I am pretty similar with my own kids now to be honest, but you are right that not all treat school and learning this way for their kids. Don’t get me wrong, I am not saying that good grades are the be all and end all. I just feel that my kids should at least try and put the effort in. If they don’t succeed at least they tried. That is pretty much it here. This is very interesting to me because although my parents were not tiger parents, they definitely had certain expectations of me including that I would graduate from a good college and go to law school. My parents were very loving and supportive but it was very clear their expectations. In the long run, I think some of it helped but I think that it also hindered. I was extremely unhappy as a lawyer and it was a profession that didn’t suit me at all. I also can, at certain points in my life, suffer from anxiety that is driven by a feeling of expectation. I’m not saying tiger parenting is wrong but I think that it is also important to take into account the individual’s likes, dislikes, personality, etc. I raised two kids and I have problems with whole “Tiger Parent” thing. It does create high achievers but on the other hand a lot of kids I know whose parents who went that way ended up with a lot of issues and problems. Being an educator, I know that schools are not suited for a lot of kids. The way it is set up, it is not about the teacher being a guide and directing the kids to be creative and learn the way that it is natural. The discussion, answering questions (that may be a little off-topic) and the free flow of information are really not allowed. Also, being able to follow the footnotes is also being discouraged. I believe on the extracurricular activities that it was better that they found what they wanted to do and then force them to do things. Example, my son was in Cub Scouts for four years. When it was time to make the jump to Boy Scouts, he didn’t want to. We talked about it and he stated that he didn’t want to, fine. I did expose them to things but I felt if they picked their own things it would be more meaningful to them. I see too many of my friends who are living through their kids. Also, I never wanted my kids to feel that they owed me anything when they became adults, i.e. I spent all this time, money, etc on you and you didn’t see it through. The kid feels like they owed their parents for that investment, I didn’t want them in that boat. On the other hand, I demanded responsibility and accountability for their actions, i.e., you got a low grade in a class what was your part in this. I told them that a F in class was for F— up because that is what you did. Finally, i told my kids-DON’T QUIT. If you join something, you are not allowed to quit. I feel that we allow our kids to quit things and that it becomes easier to quit. I feel like I negotiated my pseudo tiger parent upbringing. I learned the value of liking the thing you practiced. 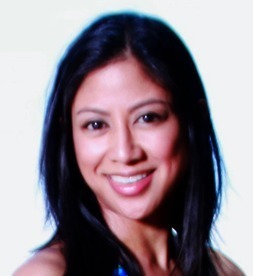 The problem with the tiger mom model is that 1) perpetuates Asians as model minorities and 2) ignores the high level of suicide rates in Asian American youth. It all really depends on your child’s personality. Some kids are self motivated, others are not. Even my dad who people consider an achiever wasn’t one until he found an economic motivation. There are things I sought to learn outside of my parent’s checklists. Oddly enough, my husband and I would rather teach our daughter how to set personal standards versus worrying about standards imposed on her. But that’s because she’s already shown a high independent streak. She insists on doing things herself and woe to the parent that doesn’t allow that willfulness. Being on a college campus I’m getting a sense of what happens to kids in overly scheduled lives. They grow up to be compartmentalized achievers that see the world as 1+1. And yet, the world is moving to a place that needs creative out of the box thinking. A place that will require greater social skills to navigate an international world. And tiger parenting doesn’t necessarily lend itself to that. Very interesting. My parents were not tiger parents, and I always wonder what kind of parent I’ll be. I know I already am one, but grades and homework are JUST JUST starting with my oldest. I read Chua’s book, and while I can’t argue with the results, I’m not convinced that the ends justify the means. That being said, it’s not my place to judge. My parents were not tiger parents, although they expected my best. That is what I expect from my kids, but I do not have the energy or desire to push my kids the way Chua did.